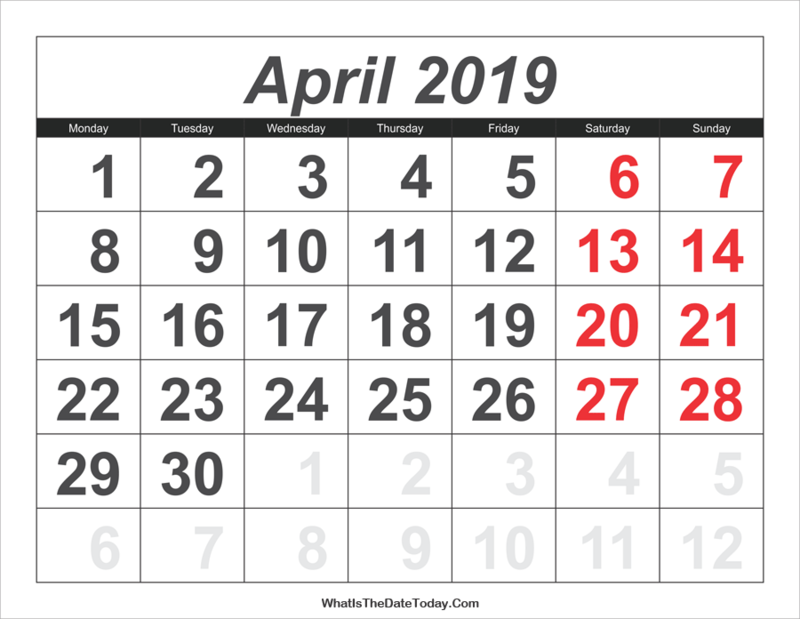 If you are searching for 2019 Calendar April with Large Numbers then this april calendar is for you. 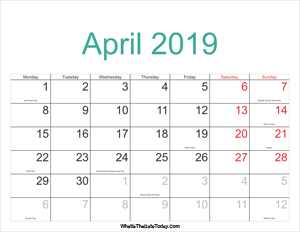 It come with all large numbers included weekend highlight in red. 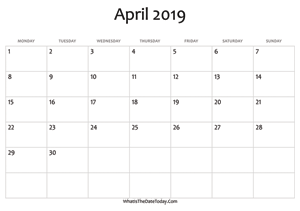 Version: 2019 US calendar with big font. 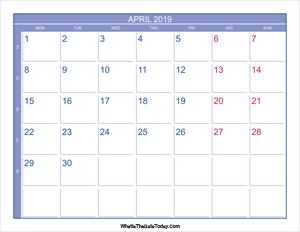 List of april holidays, local holidays and national observances. 2019 april calendar with week numbers.